We help in Vip-hall booking and individual services in Thessaloniki airport. You can book English- or Russian speaking drivers . 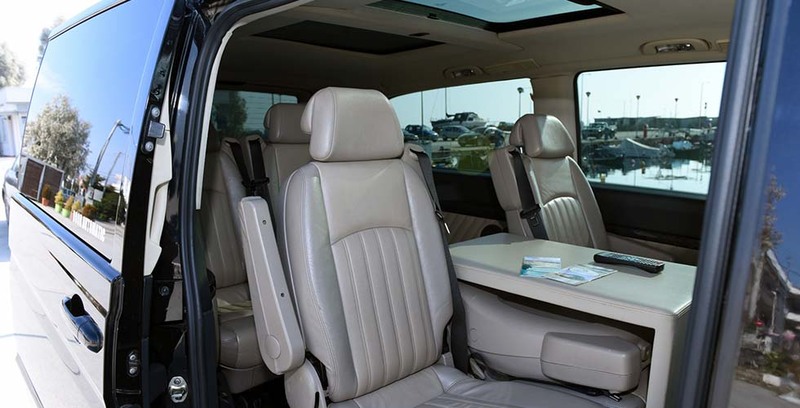 We offer comfortable minivans Mersedes-benz Viano ( 9 seats cars). The best for your business! Individual tour with premium taxi and minivar. English , Russian speaking drives. Rent a car with/without drivers. 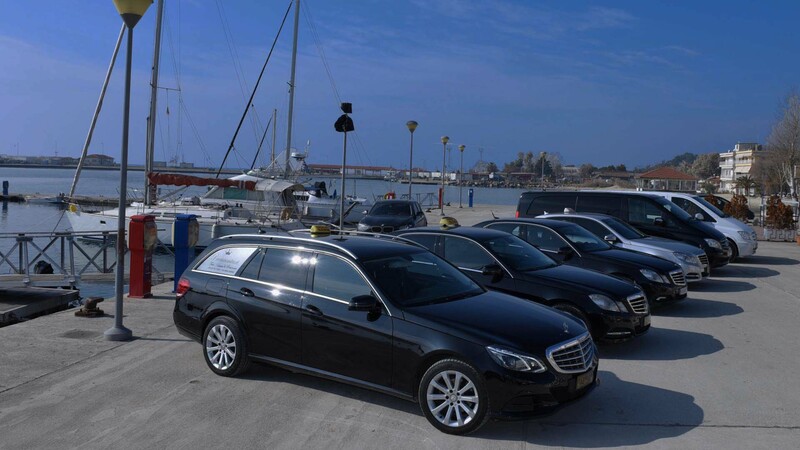 Premium Taxi Halkidiki was founded in order to provide quality taxi services in Halkidiki. We work 15 years successfully with the larger tourist offices of HALKIDIKI (Sani Resort, Mouzenidis Travel), 4-5-star hotel units (Istion Club Hotel and Spa, Pomegranate Hotel and SPA, Potidea Palace, Oceania Club) who have accepted the experience and our excellent service. We are a team of professional drivers with local knowledge (English, Russian, German) language. We also provide ability of Thessaloniki car hire, so so you can easily take a car from the airport. 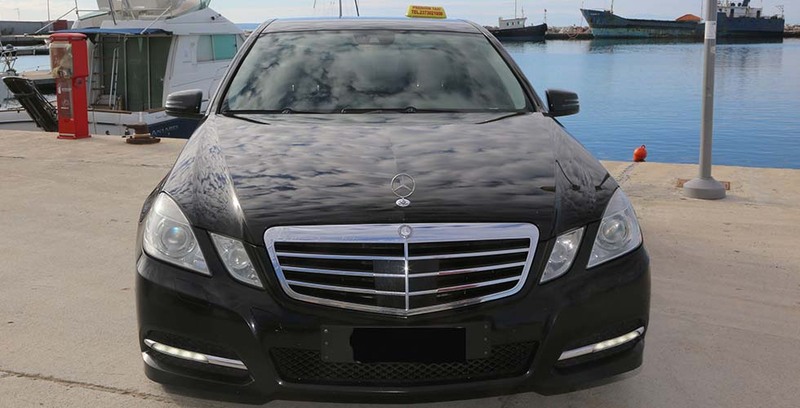 Η Premium Taxi Halkidiki ιδρύθηκε με σκοπό να παρέχει ποιοτικές υπηρεσίες ταξί σε όλη την Χαλκιδική. 01 Car hire Thessaloniki airport. 03 Travel in a big company! 04 Pilgrim transfers to Mount Athos. - All our vehicles are equipped with DVD-players. We try to entertain or soothe after a long flight of your children, playing their favorite cartoon series . - Tell us about the age of the children, and we will provide you with the right child seat at no extra charge. 08 We offer a truly best price for premium taxi in Halkidiki! - Available flexible system of discounts for regular customers and friends . mobile app, website or telephone. Order taxi in Xalkidiki quickly and easily. Vehicle supply information sent to you in real time. You can order with the way you prefer a taxi, minivan for 9 pearsons. 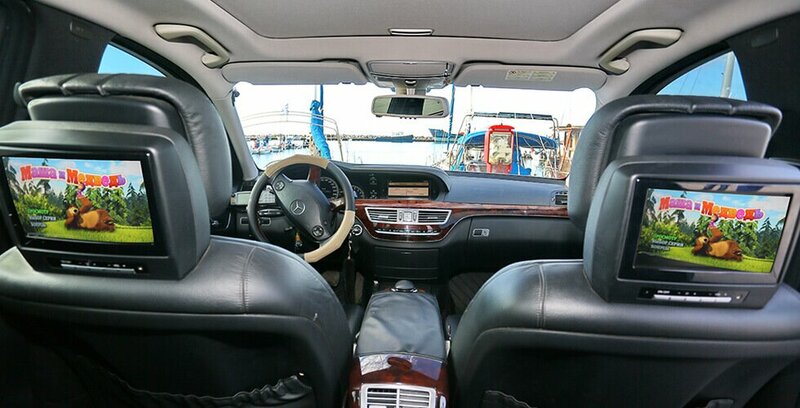 We organize individual transfer from Thessaloniki airport.You can also rent a premium class car and make a trip of your dream! Every driver is examined and certified following a compulsory training course. Only when this is completed they can apply for a permanent position. All our drivers are full-time employees – the quality of their work is our responsibility. They have an in-depth knowledge of the city, of the quickest routes and how to get around the jams. They will get you to where you need to be in the shortest possible time. All drivers wear a business suit with a bespoke chauffeur's cap – they won't detract from the atmosphere of your important meeting. You will find them polite and always attentive to your needs. 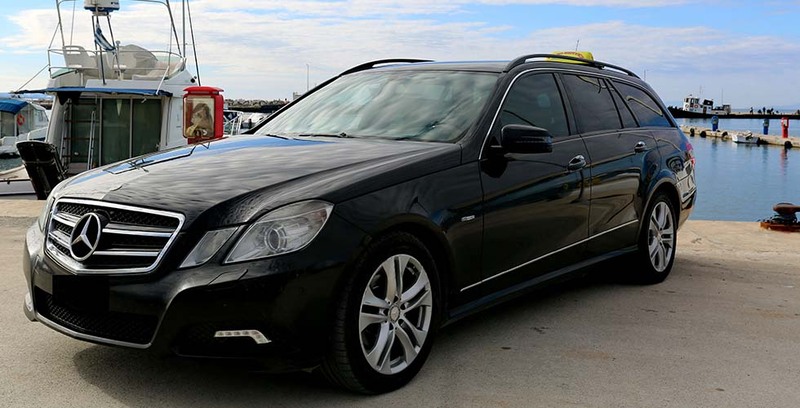 The represents superb quality at a down-to-earth price for taxi in Xalkidiki. Our transparent pricing structure, with no hidden charges or taxes, along with the ability to check on fare calculation and journey statistics in your personal profile, mean that you always know exactly what you are paying for. And we think you will also like our special corporate gifts, frequent promotions and regular discounts. Becoming a partner of makes sense. you won’t be waiting for long. 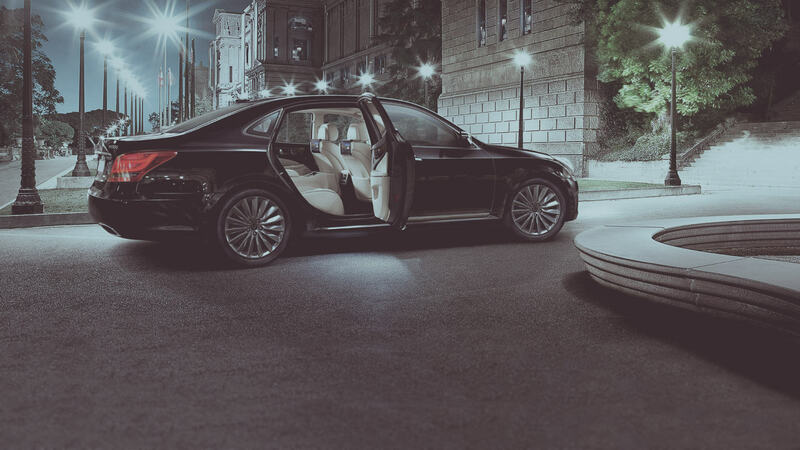 Chocolate-tinted black or white coachwork, a dark tan leather interior – finally you can demand the transport you deserve! Savour an atmosphere of singular comfort! Lumbar support system to prevent back fatigue while travelling. State-of-the-art backrest design. Heated, ventilated seats. Soft seat bolsters, generous cushions and comfortable headrests. Electrically-operated sunscreens. 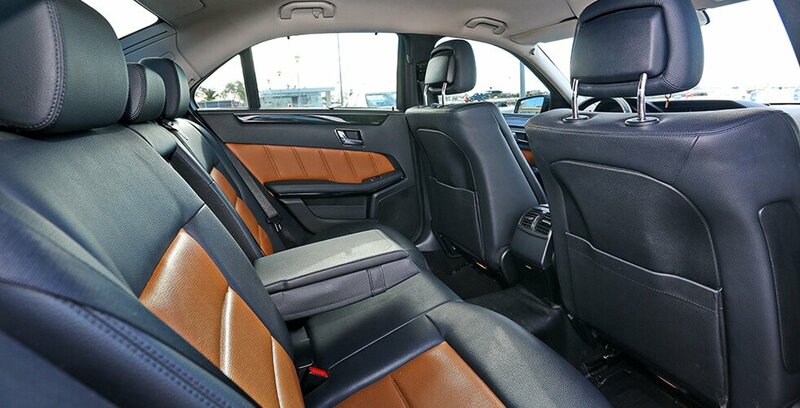 The right-hand rear passenger seat is the ideal place to settle back and relax after a stressful day. This is one car you really don’t want to have to get out of! Everything you need to make your journey a pleasure. A universal charger for all your mobile devices. Free Wi-Fi. An umbrella in case it rains. Childseats for our smallest passengers. Natural mineral water. A whole host of those other important little touches. You can't imagine how comfortable your journey can be! 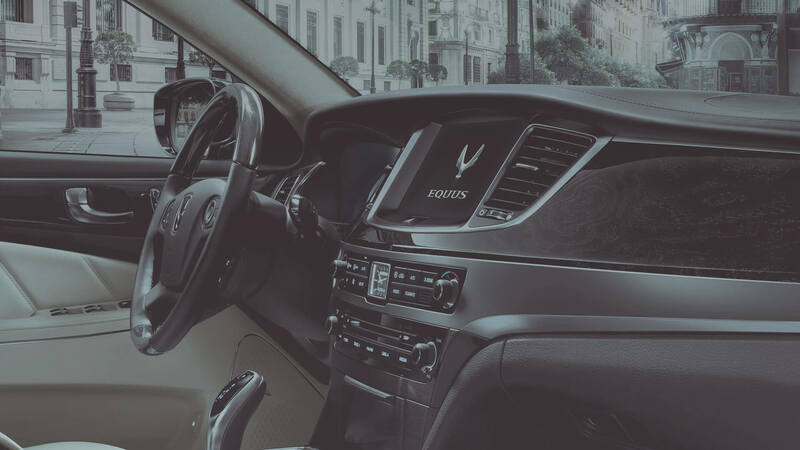 Optimal temperature and humidity are maintained in the vehicle at all times, with peaceful background music to help you relax. Your polite, unobtrusive driver will not distract you from either important work or just pleasant, idle day-dreaming. 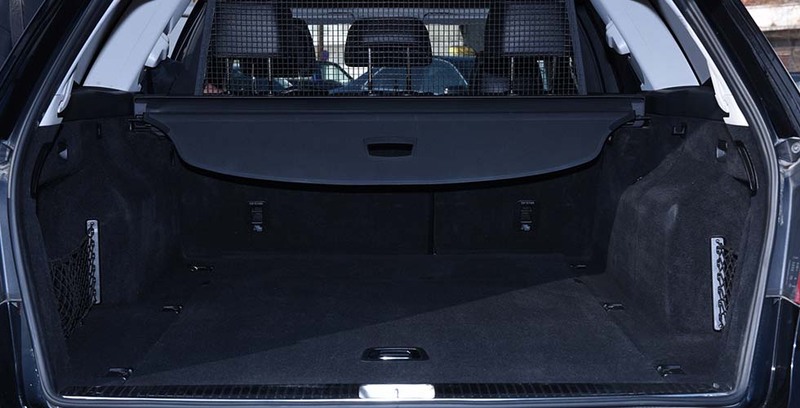 developed to keep you safe on the road. Client information is held on servers equipped with the most robust anti-hacking measures available. Your personal data is kept safe from loss, unauthorised use and distribution. Peace of mind on the road is ensured by the latest developments in passenger safety. All passengers are insured against accident and loss. 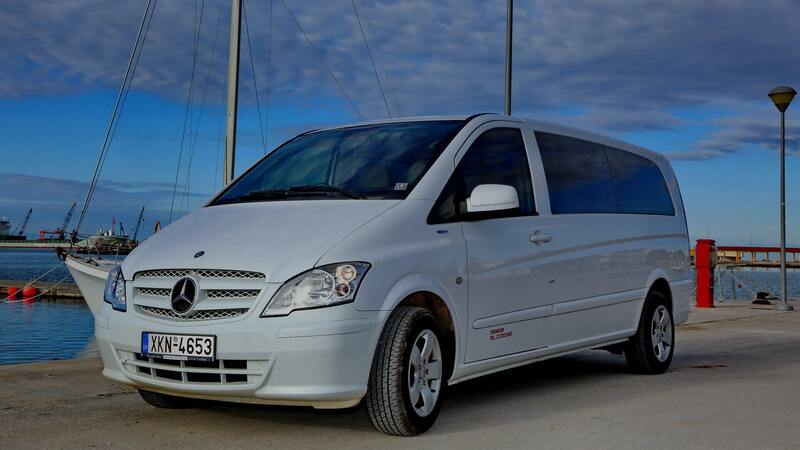 Special offer on airport transfers Greece from Thessaloniki airport to Halkidiki! 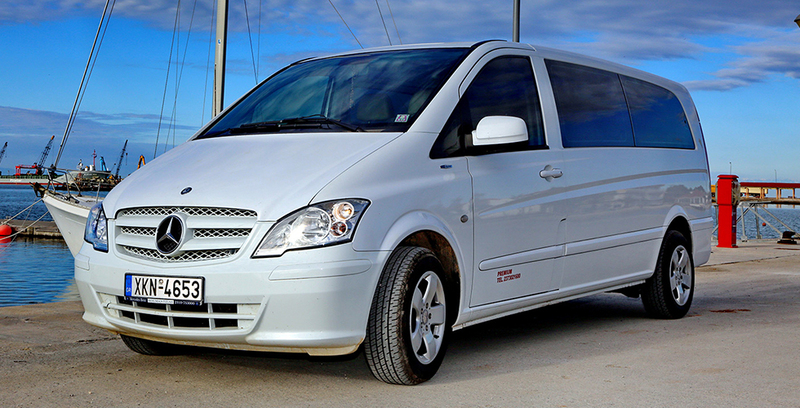 Best prices for a minivan-taxi from airport Thessaloniki-Halkidiki. 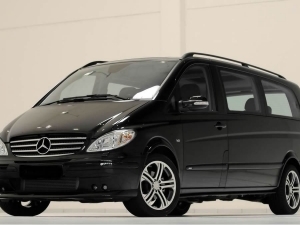 Save when you order van Mercedes-Benz Vito/Viano up to 30%! You decided to travel with a big company? 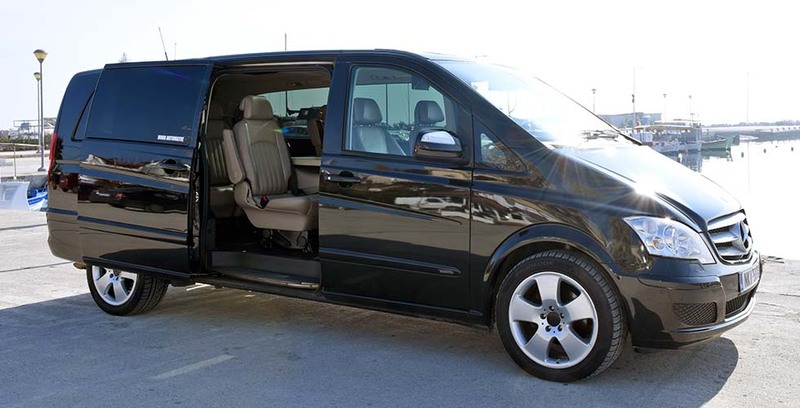 You need a transfer from the airport of Thessaloniki for 5 or more people? You wish to visit Waterland, Thessaloniki or shopping center Mediterranean Cosmos and wish to save not paying for 2 taxis? 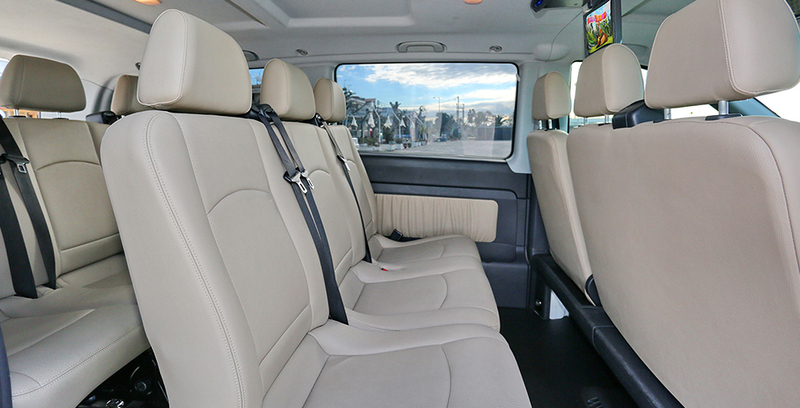 If at least one question you answered Yes, then You definitely need to book a minivan in the company's Premium Taxi Halkidiki! Choose best prices for transfers from Thessaloniki airport to Halkidiki and enjoy an impeccable service and Greek hospitality! 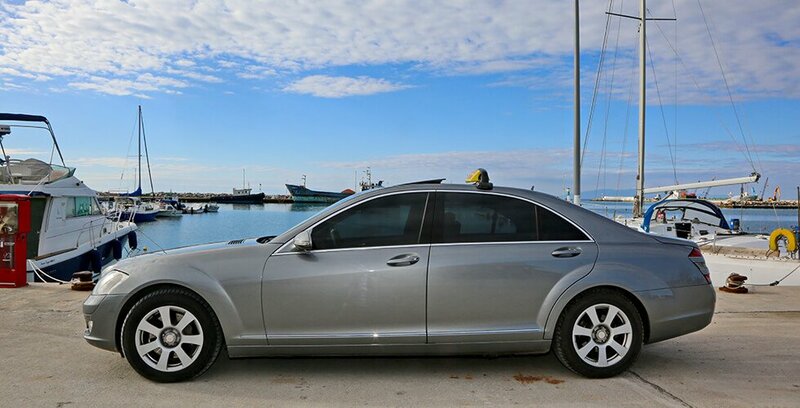 Directly from the service PremiumTaxi Halkidiki ! How to get to Halkidiki from Thessaloniki's airport? We work 15 years successfully with the larger tourist offices of HALKIDIKI (Sani Resort, Mouzenidis Travel), 4-5-star hotel units (Istion Club Hotel and Spa, Pomegranate Hotel and SPA, Potidea Palace, Oceania Club) who have accepted the experience and our excellent service. 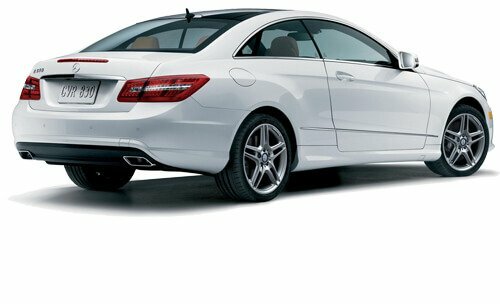 We also provide ability of Thessaloniki car hire, so so you can easily take a car from the airport. Athitos is every architect's dream come true, perfectly combining natural beauty and human presence. Walking along the cobblestone alleyways, observing the traditional village with its fine examples of Greek folk architecture, one almost feels like time has stopped at the beginning of the previous century. 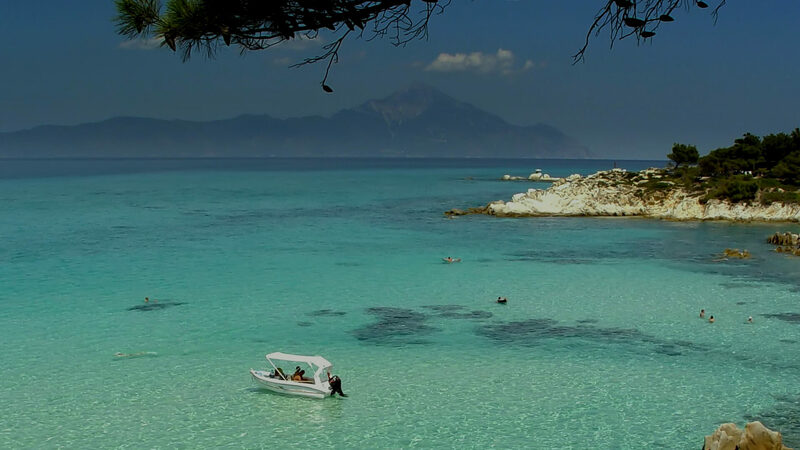 The best option is to go around the Sithonia, visiting on the way fantastic beaches and staying for a while in small towns for a snack, making photos the of the peninsula and take a dip. 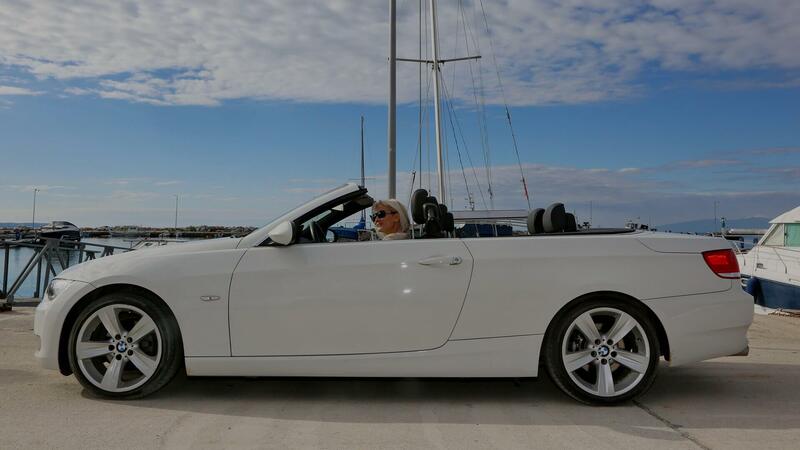 Our experienced drivers can easily deliver you to the best beaches, to the most popular taverns and campings. If you wish, we can also show you the Gulf, home to a unique sea turtle Kareta-Kareta.